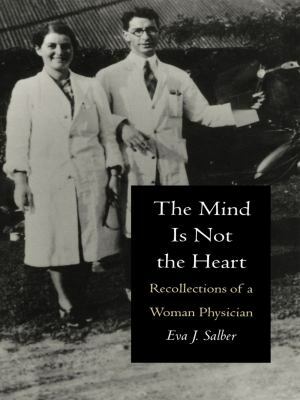 Available for the first time in paperback, Eva Salber's The Mind Is Not the Heart(originally published in 1989), is the personal and political story of a white, Jewish, South African woman who practiced medicine for over fifty years among the impoverished-both rural and urban, black and white, in South Africa and later in the United States. Her lifelong dedication to providing health care to poor people was informed by a passionate vision of the link between social problems and medicine, accompanied by an embracing involvement with the communities in which she served. In this warm clear-eyed account, Dr. Salber presents not only her own personal journey, that of a professional woman, teacher, wife, and mother, but also the story of the people on the margins of society among whom she worked.Salber, Eva J. is the author of 'Mind Is Not the Heart Recollections of a Woman Physician' with ISBN 9780822313656 and ISBN 0822313650.